One of Italy’s greatest artists, Botticelli brought the descriptions of hell in Dante’s Inferno to life in a total of 102 meticulous drawings. Written and directed by Ralph Loop, Botticelli Inferno is a journey to places often left unexplored, and brings us much closer to both the man and the artist. 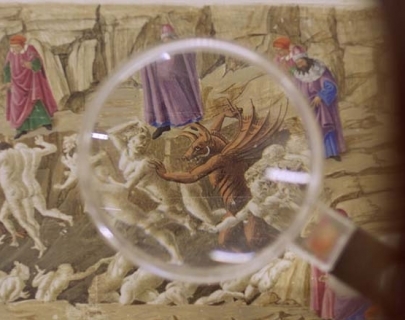 Shot at a number of locations, including those inaccessible to the public, such as the Vatican, Florence, London, Berlin and Scotland, Botticelli’s infamous ‘Map of Hell’ was digitised especially for the film with a high-powered scanner, bringing to light details that had previously been invisible to the naked eye.